Companies with high share pledging by promoters are facing some selling pressure and might be riskier to invest. Following is the list of compaines where more than 40% of the promoter's holding is pledged. The Tea prices in India is up by Rs 15 this year when compared with last year prices. With rising tea prices that continue to increase for the third consecutive week, the tea companies will surely make higher profits in coming quarters.Jayshree tea registered a topline and bottomline of Rs. 455 crores and Rs. 53.36 crores respectively for the fiscal year 2011. The EPS for the same period was approximately Rs. 24. Investment fund GSV Capital Corp has taken a small stake in Facebook that values the world's No. 1 social networking site at about $70 billion. 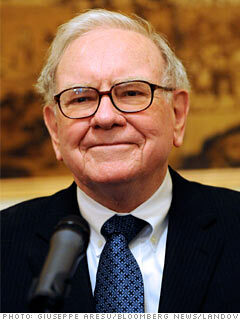 The investment fund bought 225,000 shares in Facebook at an average price of $29.28 per share. Facebook has roughly 2.4 billion outstanding shares, according to the latest data from secondary market company Sharepost. Facebook executives have said it is inevitable that they will take the company public but have not specified a date. At $70 billion, Facebook would be valued slightly below Amazon.com Inc, Cisco Systems Inc or Hewlett-Packard Co.
CNBC-TV18’s show ‘The Informed Investor’ invited two of the world's famous Technical Analysts Yamada & Roth to explain what technical analysis is and how to use them? Must read and watch for any investor or trader aspiring to learn technical analysis. Watch the full video of the interview here. The government today decided to raise diesel prices by Rs 3 per litre and domestic LPG cylinder prices by Rs 50. Kerosene prices hiked by Rs 2 per litre. It scrapped import duty on petroleum products by 5%, Oil Minister S Jaipal Reddy said. 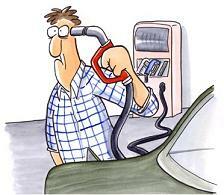 Customs duty on diesel cut from 7.5% to 2.5%, he said. The oil refining companies currently incur an under-recovery or revenue loss of Rs 13.72 on every litre of diesel, Rs 26.16 on every litre of kerosene and Rs 381 for every LPG cylinder. The probability of another round of rate hike in July by RBI has increased substantially after this decision. High food inflation numbers published yesterday were already enough to suspect another rate hike to combat inflation. But this round of another fuel price hike would add to the inflation pressure and could compel RBI to increase rates by at least 25 bps if not 50 bps. Jet Airways carried two million guests in May 2011. This marks the highest number of passengers carried by any airline of Indian origin on its domestic and international network. Jet Airways flew a record 1.55 million guests on its domestic and international network; while JetLite flew an equally impressive 0.47 million guests to assist the Jet Airways Group log this truly unique milestone in the Indian Aviation sector. Food inflation in India today touched a two-and-half-month high of 9.13% in the week ended June 11 on the back of costlier fruits, milk, onions and protein-based items.The latest food inflation numbers are the highest since the week ended March 26, 2011, when the rate of price rise of food items touched 9.18%. The latest forecast by India Meteorological Department's (IMD) suggest that the monsoon is expected to be 95% of the long term average. A below normal monsoon can have a serious fallout on agricultural output.If inflation does not moderate by june end RBI might go for another rate hike of 25 bps if not 50 bps. 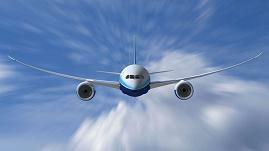 The hot question buzzing in the market is what to choose in this turbulent time, Large Cap stocks or Mid Cap stocks? Midcap stocks were already undervalued and the recent correction has made them even more undervalued, but large cap stocks which used to be on the expensive side some time back now looks reasonable. So investors are confused on where to go. I am a great fan of mid caps as they hold the potential of becoming multibaggers. We cannot expect Reliance Industries, ONGC, TCS, Infosys to become multibaggers in next 2 years as they already have a market cap of above of 2 lakh crores and to become even 2 bagger they need to add another 2 lakh crores to their market cap which is difficult to happen in 2 years time frame. But midcap stocks having market cap of less than 2000 crores can become multibaggers if they are trading at lower valuation and valuation re rating happens in course of next 2 years. Titan Industries in which Rakesh Jhunjhunwala has investment worth Rs. 1400 crores (Rakesh Jhunjhunwala portfolio) as per current market price has been downgraded by CLSA because of stretched valuations. Golden rules of investing in stock markets. A retail investor is typically the last one to know of the tip. Hence he is most likely to invest when the stock has already run up and hence at a risk to lose money. This is one of Warren Buffet's well known principles. Only a thorough study can give an investor enough confidence not to sell at the first sign of trouble. Trading is short term and investing is long term. Getting confused between the two can be a sure way to lose money. Indian Telecom Companies subscriber addition figures are out for the month of May 2011. Market leader, Bharti Airtel has managed to add 2.45 million users which made its total Subscriber base at 167 million while Vodafone Added 2.44 million users, a tad less than Bharti Airtel.Videocon mobiles has lost 186,161 users on the month of may 2011. 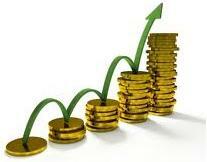 Want to become a value Investor? Check out the following videos which characterises the quality and attitude that any value investor should posses and practice﻿. Titan Industries, CMC, NALCO, Onmobile global and several mid and small cap companies announced bonus issues this year. Following is the list of companies which declared bonus shares till June 2011. Short term investors and traders can go long on Sun Pharmaceuticals at the current market price of Rs. 478 for a week's target of Rs. 500 with a stop loss at Rs. 468. The stock has outperformed SENSEX in past one month by more than 10% and has been in uptrend since mid of May 2011. InvestorZclub believe that the Friday's correction of 3% was on account of profit taking and the stock will resume its uptrend from Monday (20th June 2011) onwards. The news of inclusion of the stock in SENSEX over this weekend is also very positive for the stock which is expected to provide strong support to the stock on the downside. Reliance Infrastructure and Reliance Communications would be excluded from the benchmark index SENSEX. The exchange would replace Reliance Infrastructure with state-run Coal India and Reliance Communications with Sun Pharmaceutical in the 30-stock Sensex, BSE said in a statement. The last time Asia’s oldest stock exchange made revision in Sensex was on December 6, 2010, by removing ACC with Bajaj Auto. Tata Steel has sold its 26.27% stake in Australian coal miner Riversdale to global mining major Rio Tinto for AUD 1.06 billion ($1.11 billion). The Anglo-Dutch miner Rio Tinto holds 73.2% stake in Riversdale, which has an estimated 13 billion tonne reserves in its two projects in Mozambique - Benga and Zambeze. The deal would be very positive for the company as the cash flow will further reduce the net debt to equity ratio of the company. The company reported good set of numbers in fiscal year 2011 and at the CMP of Rs.553 it's trading at attractive valuations as well (Tata steel FY11 results and valuation). However global correction in commodity prices could be a dampening factor in the short term. # RBI raises Repo and Reverse Repo rates by 25 bps each. # RBI says inflation persists at uncomfortable levels and will continue with its anti-inflationary monetary policy. # RBI says Inflation spreading to non-food items a cause of concern. The interest level of the investors in the market has come down significantly in the past 2 months because of indecisive market behaviour. No body seems to be making money in this kind of market and hence staying away from it. But its a very common question in every investor's mind, where will the SENSEX / NIFTY be in next 6 months. 1. If economy does well i.e the country grows at a faster rate than average GDP growth of the country in past three years, markets usually perform better. But its a well known fact now that India will find it very difficult to grow above 8% if high levels of inflation & Interest rate persist. 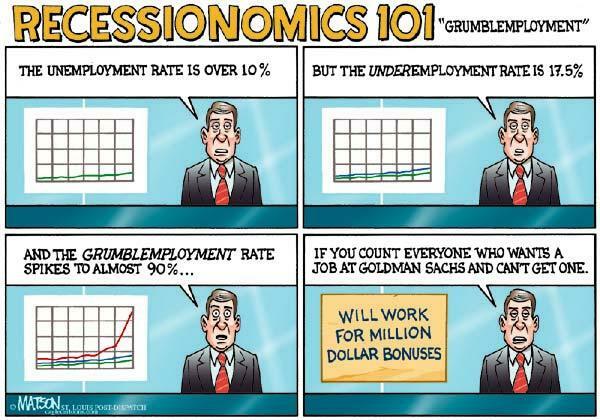 Hence the macro economic support would not help the markets in next 6 months. Reliance Industries, India's largest listed company, slipped more than 1.7% on Thursday to a new year-low of Rs 885.05. Reliance has been under pressure in recent months on worries of slowing gas output from its KG blocks, off India's eastern coast. State Bank of India is the country's largest and the oldest bank having 82 foreign offices in 32 countries across the world. Following is the five year snapshot of SBI's financials and shareholder's return. The board of directors of the commercial vehicle manufacturer will issue bonus shares in the ratio of 1:1. The stock has reacted positively to the news however the counter has performed poorly in past 6 months and had fallen around 40% from the highs made in Nov 2010. At CMP of Rs 52 as on 16th June 2011 the total market capitalization of the company is Rs.6852 crores. For fiscal year 2011 the company registered a revenue of Rs. 11,117 crores and Profit after tax of Rs. 631 crores. The company declared a dividend of Rs.2 (FV 1) per share in the current fiscal. India Inc's financial performance in 2011 when compared over 2010 (snapshot below), reveals some interesting facts and figures. Though there was a growth in topline by 22% the bottom line just advanced by 9.7% thanks to interest cost which increased by more than 30%. Interest rates have clearly hurt the companies in 2011 and is expected to hurt even more in financial year 2012. Hence at InvestorZclub, we believe that we might not see an EPS growth of more than 8% in FY12. As a result we might see a dull year in terms of returns from equity investments. But we at InvestorZclub believe that bank stocks should be avoided at this point of time when the interest rate has yet not peaked and RBI is expected to raise the rates further because of stubbornly high inflation. One can start looking at quality bank stocks only after there are signs of moderation in Inflation and interest rate without which the banks would continue to under perform. We at InvestorZclub have been bearish on banks since past few months (http://investorzclub.blogspot.com/2011/05/should-one-invest-in-banking-stocks-now.html) and continue to do so because of high inflation, interest rates and increasing NPAs. Advance tax pay-up by India Inc presents a rosy picture, despite a massive fall in April IIP numbers. IDBI Bank saw the highest increase in tax outgo in terms of percentage over previous year. Following is the table listing the companies advance tax data compared with the previous year. India's largest software exporter TCS saw its tax bill nearly doubling to Rs 240 crore in the reporting period from Rs 128 crore in the year-ago quarter. This could partly be because of end of STPI tax holiday which became effective from 1st April 2011 and partly because of superior performance expected in the current quarter. I-T department sources said today that oil and gas major RIL has paid Rs 900 crore in the April-June, 2011 period, up nearly 50% from Rs 650 crore in the same quarter previous fiscal. A 50% rise in advance tax payment holds the hope that RIL might do better than expected result in Q1 of fiscal year 2012. RIL has been an underperformer in last few trading sesions and has fallen to 900 levels from 950 odd levels in 4 trading sessions. RIL has strong support at 850-900 band and many brokerages have given buy rating on the stock in that band for a 1 year target of 1100. The strike at Maruti Suzuki's plant in Manesar continued for the 11th day on Tuesday as talks between the workers and management failed to resolve the deadlock over creation of a second workers' union. According to the official, the production halt at the Manesar plant has cost the automobile major a volume loss of around 10,200 cars, including 600 units on the first day of the strike June 4 which translates into a revenue loss of approx Rs. 340 crores. By the way the stock price of the company hasen't been affected that much and is down around 2% since June 4 2011. But if the strike continues for few more days, there might be deeper impact on the company's stock prices. Why not?, history repeats itself and we at InvestorZclub believe that the making of such bubble has already started. The buzz in the market suggest that Facebook valuation could be $100 Billion when its IPO is offered to public. When Linked in got listed about 2 months back, it commanded a PE multiple of more than 1000 times (http://investorzclub.blogspot.com/2011/05/linkedin-get-listed-on-nyse-stock.html) on 2010 earnings. A theory that states it is possible to make money by buying securities, whether overvalued or not, and later selling them at a profit because there will always be someone (a bigger or greater fool) who is willing to pay the higher price. The People's bank of China raises the reserve ratio again by 50 bps to be effective 20th June 2011. The reserve requirement ratio (RRR) is the percentage of money parked by the banks and lending institutions with the reserve bank (People's Bank of China). The measure was taken to curb the lending further and cool down the overheated economy & inflation by bringing down the demand in the system. ING Vysya Bank has launched its QIP issue to raise 525 crores by issuing 1.53 crore shares at a floor price of Rs 342.09 / share. The current Market Price of the stock is Rs. 342. The issue would dilute the equity base of ING Vysya Bank by 10.24%. Motilal Oswal is bullish on Torrent Pharma and has recommended buy rating on the stock with a target of Rs 761 in its June 13, 2011 research report. The CMP as on 14th June 2011 is Rs. 613. The steel sector seems to be the newest victim of slowing demand. In April, steel consumption grew by just two per cent year-on-year, as against FY12 estimates of 10.7 per cent. From the look of it, things may not be any better in May and June. Monetary tightening is reflecting in demand deceleration. According to a report by HSBC Global Research, at 5.4 mt, steel production was up five per cent on year in April, while real consumption rose just two per cent. Imports too declined 61 per cent to 0.3 mt. Exports, at 0.32 mt, were up 45 per cent. While production is in line with analyst estimates, annualised consumption is lower than expectations. Typically, steel consumption should grow at the long-term multiplier of 1.2-1.5x of the GDP. So with GDP growth estimates of 8.7 per cent, steel consumption should ideally be around 10.7 per cent. 16.5 million shares, or 1.12% of equity of HDFC changed hands on 14th June 2011 at Rs 643 each on the Bombay Stock Exchange. The likely seller could be Citigroup as they had decided to reduce its stake in HDFC to about 10% from 11.4% via stock market deals. Idea Cellular has reported net profit of Rs 275 crore in the quarter ended March 2011, a growth of 13% as compared to Rs 243.1 crore in previous quarter. Revenues increased 7% to Rs 4,235 crore in fourth quarter of FY-11 as against Rs 3,955.6 crore in previous quarter. Reliance Industries is India's most valued company in terms of Market capitalization. It operates mainly in three segments: Refining, Petrochemicals and Oil & gas exploration. Other business of Reliance includes Textile and Retail. Following is the five year snapshot of RIL's financials and shareholder's return. 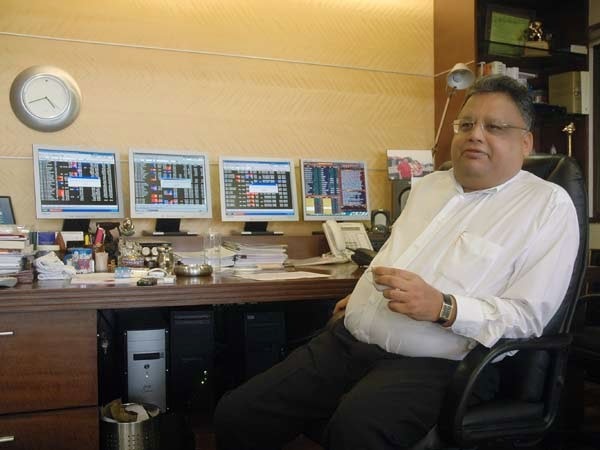 Rakesh Jhunjhunwala‘s, investment firm RARE Enterprise, bought 1,00,000 shares of Visaka Industries at Rs. 151.75 per share. 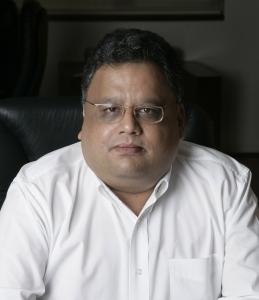 Rakesh Jhujhunwala’s total investment in Visaka Industries is Rs. 1,51,75,000. The transaction happened by way of bulk deal on 22nd April 2010. The snapshot of the bulk deal is given below. It takes millions of dollars to have lunch with legendary investor Warren Buffett and a bidder has snatched up the opportunity by agreeing to shell out $2.34 million in an online charity auction. However, the highest bid this year was less than last year's record bid price of $2.62 million. The proceeds from the auction, conducted every year on online marketplace eBay, would be used for charity purposes. The auction proceeds will go to Glide Foundation , an institution that helps alleviate poverty in the San Francisco Bay Area. Short term traders with 1 -2 week horizon can take position in Cipla at the current market price of Rs. 332 for a target of Rs 350. NTPC Ltd is engaged in the business of generation and sale of bulk power. It is India's largest power company in terms of MW generation. Following is the five year snapshot of NTPC's financials and shareholder returns. Shares held by Morgan Stanley as of March 2011. Bharti Airtel, which last year bought mobile phone operations in 15 African countries, is on target to generate $5 billion (Rs 22,000 crore) in revenue from the continent and reach 100 million subscribers there by the end of March 2013 said Manoj Kholi, the CEO of International operations. Bharti group today exited from its financial services joint ventures with French firm AXA and sold its entire 74% stake in both general and life insurance businesses to Mukesh Ambani-led Reliance Industries (RIL) for an undisclosed amount. Large Cap stocks are often considered as safe heaven when building portfolio. But they are usually fully priced in and are not available at low PE levels. But a market correction provides good opportunity to pick quality large cap stock at cheaper valuation. InvestorZclub lists down a list of large cap stocks having market cap above of Rs. 5000 crores and available at a PE of less than 15. Food inflation has come in at 9.01% for the week ended May 28 which is at 2 months high. The RBI, in its monetary policy for 2011-12, had projected that overall inflation would average 9% during the first half of this fiscal. However such high inflation numbers for food prices might compell RBI to further hike the key policy rates at least by 25 bps when they meet on 16th june for policy review. High interest rates have already started impacting the growth of the economy and any further hike in interest rates will decelerate the economy further. 25 bps is already priced in the markets currently but any negative surprise will spook the market badly. However if the key policy rates are left unchanged on 16th June, the market should positively react. High Dividend Yield Stocks in India as of June 2011 based on the declared dividends. Morgan Stanley has cut the target price of M&M to Rs 682 from Rs 803 because of sharp margin compression in the fourth quarter. Last month, the largest Indian utility vehicles maker lagged estimates with a 6.3% rise in its quarterly net profit and warned higher raw material costs could hurt margins. At the CMP of Rs. 659, the company commands a market cap of Rs. 40,500 crores. 52 week High / low for the stock is 826 / 550. Idea cellular is india's 4th larget telecom operator behind Bharti airtel, Vodafone an Reliance with more than 90 million subscribers. At the current rate of subscriber addition the company will reach 100 million subscriber mark by August 2011. The company has 16% stake in Indus tower which is the world's larget telecom tower company and its valuation is estimated to be approximately Rs. 55,000 crores. So idea's stake in Indus tower is worth approximately Rs. 8,800 crores. The DTH industry might emulate the telecom sector over the next few years with this kind of pace of subscriber addition. 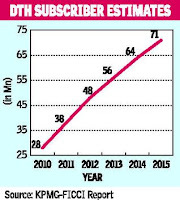 From just 4 million subscribers in 2007 to 35 million DTH connections currently, the industry has grown at phenomenal pace. As per KPMG report the industry is expected to reach 71 million subscriber by 2015. There are 6 major players in this industry including Dish TV, Bharti Airtel, RCOM, Tata sky, SUN Direct and Videocon. Dish TV has a gross subscriber base of 10.4 million, while Bharti Airtel and RCom have 5.6 million and 3.5 million respectively. DISH TV is the largest player in this industry with revenues of more than Rs. 1400 crores and growing at 52% annually. Also it has the lowest Subscriber acquisition cost of Rs. 2224 compared to the industry average of 3000-4000. Investors with long term horizon can include this stock in their portfolio for a possible multi fold appreciation. CMP of Dish TV is Rs. 77 and commands a Market cap of Rs. 8,200 crores. 52 week high low for the stock is 79 / 38. Out of the 15 companies that came out with IPO in 2011, nine entities, including PTC India Financial Services and Future Ventures India, are attracting negative returns in the range of 16-75%. *CMP as on 3rd June 2011. Price volume indicator or momentum indicator is an indispensable tool for both traders and investors. Price and volume is never looked in isolation rather the correct interpretation of the direction of the movement is only gauged by studying them together. Price and volume are very closely related. If price movement is supported by high volume it confirms the momentum in that direction. Companies which witnessed major bulk deals where over 1% of the equity changed hands on NSE. Angel Broking is bullish on IVRCL and has recommended buy rating on the stock with a target of Rs 100 in its latest research report. The outstanding order book at Rs23,797 cr is 4.2x FY2011 revenue, which provides revenue visibility; however, the key lies in funding the captive orders and achieving financial closure for the same. At current levels, the stock appears attractive on the valuation screen, given it is trading at a deep discount to its intrinsic value and the downside from current levels seems to be capped. At the CMP of Rs 70, the stock is trading at 8.1x FY2013E EPS and 0.8x FY2013E P/BV on a standalone basis and adjusting for its subsidiaries at 4.7x FY2013E EPS and 0.5x FY2013E P/B. Therefore, on the back of the company’s excellent execution track record, robust order book-to-sales ratio and attractive valuations, we maintain Buy on the stock with a target price of Rs 100," says Angel Broking research report. Makemytrip.com, the only listed company among the above four, commands a market cap of $810 million on NYSE. 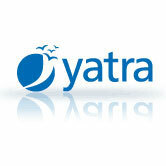 Both Cleartrip and yatra.com are mulling options to capitalize on the travel boom and we might see listing of these companies in some time. In 1985, when Big Bull Rakesh Jhunjhunwala entered the market with Rs 5,000 as his initial capital, his dream was to earn about Rs 1 lakh a month. Now after journeying through a little over a quarter a century, even the man himself doesn’t remember when he had crossed that dream to enter into the current realty of probably earning much more than a lakh of rupees every hour. So when we meet the last Big Bull of his generation at his 15th floor office at Nariman Bhavan in Mumbai’s central business district of Nariman Point, naturally a good part of the conversation is about his wealth along with others like the ethics, tricks and the secrets of the trade. 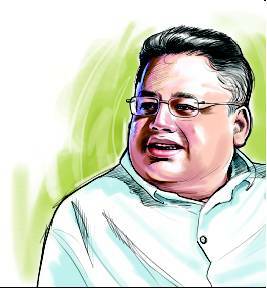 Although various estimates put his total wealth above $1 billion, 51-year-old Jhunjhunwala wouldn’t reveal a specific number. What is Baltic dry Index? Baltic index is a shipping and trade index created by the London-based Baltic Exchange that measures changes in the cost to transport raw materials such as metals, grains and fossil fuels by sea. The Baltic Exchange directly contacts shipping brokers to assess price levels for a given route, product to transport and time to delivery (speed). The Baltic Dry Index is a composite of three sub-indexes that measure different sizes of dry bulk carriers (merchant ships) - Capesize, Supramax and Panamax. Multiple geographic routes are evaluated for each index to give depth to the index's composite measurement. The falling baltic index has direct bearing on the profitability of shipping companies across the world. Following chart shows the 5 year chart of Baltic dry index and the India's larget shipping company GE Shipping. It is clearly visible that because of subdued baltic index since DEC 2009 the stock performance of the company has also been subdued.